Men gather on the harbour wall watching the scenes below. Fishermen shout over one another in deep Sicilian voices waving their cleavers around in the air as they advertise their catch of the day. A group crowd around a bucket of fish, jostling for a good position as they start their bargaining. An octopus tries to makes its escape from the plastic bag it has been flung in to as it is unceremoniously plonked on the scales. A fish which has been desperately flapping around in a crate full of apparently lifeless fish is thrown back into a pail of seawater as another one is pulled out in its place; the fisherman’s attempt at showing how fresh his fish are. A man selling parsley pushes through the crowd shouting ‘Prezzemolo, prezzemolo’ over and over again. Another seller cuts a piece of tuna and eats it in front of an interested customer in an attempt to persuade her that his tuna is freshly caught that day whilst a new boat arrives bringing its fresh catch straight from the Mediterranean sea. Next to the fishermen are fruit and vegetable stalls, cockerels and live rabbits are also for sale along with cheese and bread. The smell from the oranges ripening in the sun is intoxicating. 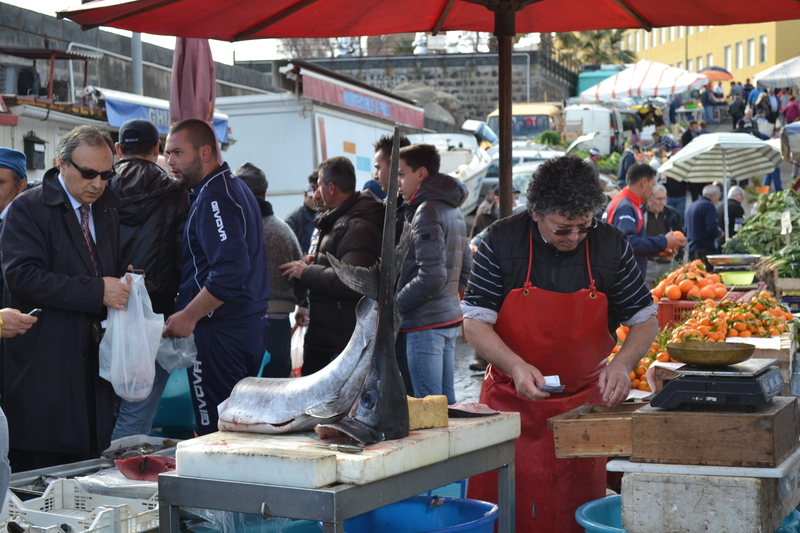 This is the Sunday market in Ognina, Catania; the one day of the week when the fishermen forgo the middlemen and sell directly to the customer. The market is like an open-air theatre as the fishermen throw their voices and dramatically wave their hands around in the air fighting for attention. 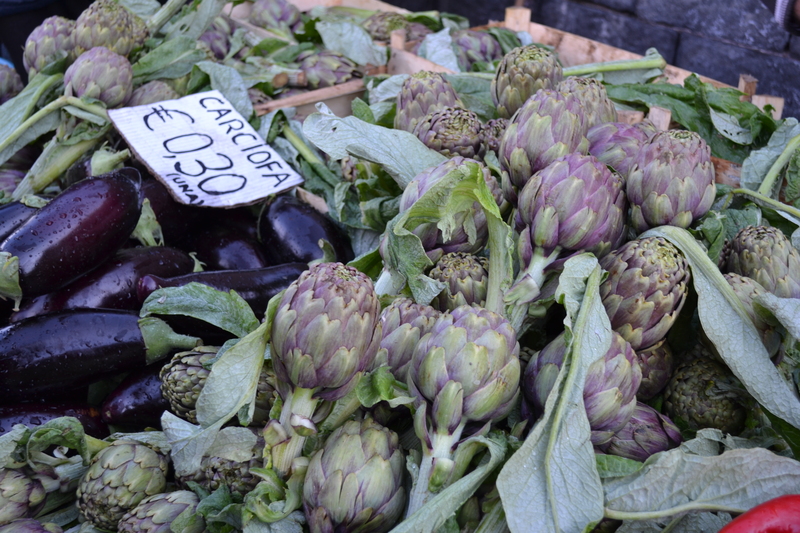 Their Sicilian customers are shrewd and know what to look out for and are fully aware that some of the fish will not be fresh and might have come from the freezer of a truck instead. They know to look through the fruit and vegetables that have been placed in punnets and check carefully those at the back where the bruised and old ones are usually hidden and they enjoy the experience knowing when they are done that they will return home with the freshest fish and cook up a feast for all of the family.